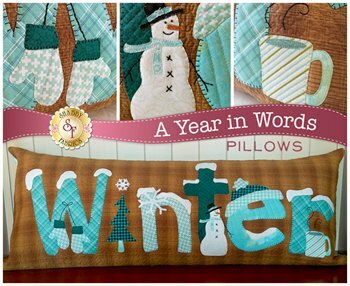 Add a charming touch to your home with this "Winter" pillow from the A Year in Words Pillows! This Shabby Exclusive measures 3 FEET LONG x 15" high and has an envelope backing making the pillow form interchangeable. Not just the letters, but applique snowman, applique mittens, applique hot cocoa mug (or may it's got some Bailey's in it!) and applique pine tree with applique snowflake.